The Corps of RAEME at any one time has a number of soldiers who are serving on operations and other areas on overseas deployment. The RAEME Associations, with your assistance, sends Spanner Packs (not tools) to our CORPS. These packs contain items not supplied by Defence or locally available, which will assist our soldiers to live more comfortably and enjoy some of those favourite things they miss from home. To date (May 14) over 3150 packs have been provided to soldiers on deployment. The Royal Australian Electrical and Mechanical Engineers are known by the abbreviated term, or acronym, RAEME which is pronounced as 'ray-mee'. 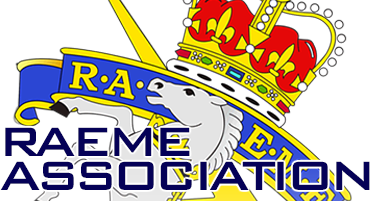 RAEME is the second largest Corps in the Australian Army and maintains the greatest variety of equipment of any organisation in Australia. Because of the demands of Army operations, the Corps operates both mobile workshops on the battlefield and static workshops in the support area. The Corps provides the repair and recovery service for all equipment operated by the Army, including aircraft and watercraft.